The highest point on the face of the earth is Mount Everest. 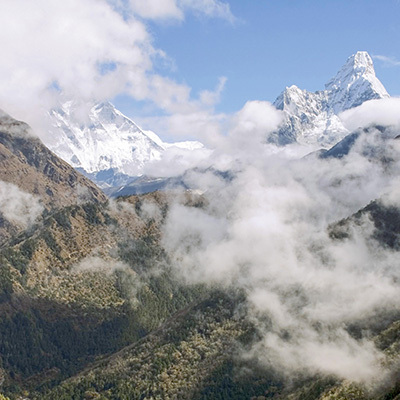 It is in the highest chain of mountains in the world—the Himalayas—between China and Nepal. It peaks at 29,035 feet, which totals five and one-half miles. The imagery of Mount Everest may help us grasp an understanding of the highest point we can attain spiritually as believers—manifesting the love of our Almighty God in the renewed mind. On earth 29,035 feet is as high as anyone can climb. Yet spiritually we can climb higher every day as we keep learning and applying what the Word says about God’s love. Jesus Christ learned it, lived it, and taught it. During his earthly ministry, he ushered in a new way to love. We can be rooted and grounded in that same powerful love, gaining spiritual heights never attainable to anyone else before the day of Pentecost. Jesus Christ made it available for believers today to understand and live God’s love in all its fullness. We will begin our ascent of learning in the Book of Mark. In Mark 11 and 12, we see our lord and savior walking with great wisdom, avoiding the traps that the religious leaders of the day had set for him. The chief priests, scribes, and elders in Mark 11:27 interrogated Jesus Christ about his authority and credentials to do what he was doing. After these left, they sent some of the Pharisees and Herodians to catch him in his words. Then, in Mark 12:18, the Sadducees also sought an opportunity to discredit him. Finally, a scribe came forth to question Jesus. What happened next, however, had a resounding effect—the words spoken by Jesus Christ began to open up a new understanding about God’s love. We will pick up with the scribe’s question in verse 28. First of all, Jesus Christ said, “Thou shalt love,” which means to absolutely, no doubts, no questions, love God! Then great revelation about how to love God follows: “with all thy heart.” This signifies loving God down deep in the very seat of a person’s life. “With all thy soul” expresses that a person is to love God with everything he or she is—breath life, personality, emotions, and capacities. Next Jesus Christ said, “Thou shalt love the Lord thy God…with all thy mind,” or love God in the way one thinks things through maturely, intellectually, fully, and thoroughly. Then he concluded, saying to love God “with all thy strength.” This refers to full physical strength in life. Verse 30 closes with “this is the first commandment.” Jesus Christ powerfully emphasized that God is absolutely to be loved first and foremost in every capacity of life. How powerful and conclusive of all matters is God’s love. Throughout the Word, people had been taught to love God first (Deuteronomy 6:4 and 5) and to love others (Leviticus 19:18). But now, Jesus Christ reduced the approximately nine hundred laws of the Old Testament down to just two! And soon he would accomplish the fulfillment of all that the law required. He was the end of the law for righteousness (Romans 10:4). Jesus Christ ushered in a new commandment and a new way to love. This is an excerpt from the January/February 2008 issue of The Way Magazine. Copyright© 2008 by The Way International. All rights reserved.